Benefiting from secure entry system the apartment is located on the top floor of a beautiful mansion block with views across to Clapham Common. A balcony leads off the reception room which is perfect for enjoying a morning coffee or to simply watch the world pass by. Despite being just a stone's throw from Clapham Common itself there are well maintained communal gardens to the rear of the development if you wish to escape the buzz of the Common in Summer. 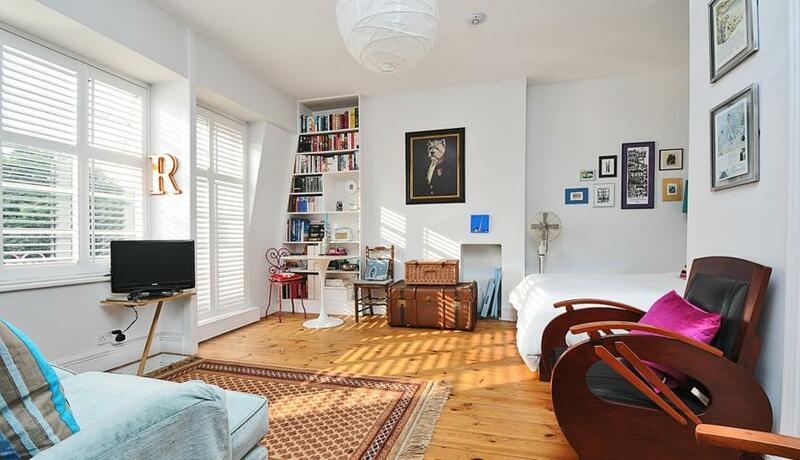 A modern shower room and good sized kitchen compliment this wonderful studio flat. Located within moments of Clapham Old Town with an array of bars, restaurants and a Sainsburys local for added convenience. Transport links include the Underground Northern Line station of Clapham Common, the Overground service at Clapham High Street for access into Shoreditch and Canada Water and of course the Cycle Superhighway and London bus service for direct access into Central London.